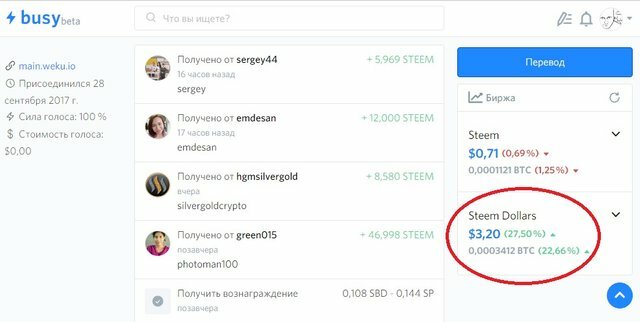 I noticed such a pattern when the coin’s STEEM is very bad. But now it’s such a period - the price is at the level of US $ 0.70. I wanted to see first that the price had fallen, but then I thought that by and large the price is created artificially and such concepts as growth and fall are not appropriate. Just today such a price is set for a coin. But pay attention to the cost of the coin SBD. Probably you will think that this is the real price. But no one will buy a coin at that price. This happens always when there is no demand for coins or it is very small. But what should make us happy? As a rule, after such a bug, the price will increase.